There are only a few more hours left until you can shop our collection that is launching at Nordstrom! Below is one more sneak peek of some of the items that will be launching today at 10:00 am PDT in our April collection. This collection has been highly anticipated and we expect it to go fast!! Don’t miss out on your chance to shop the collection first! Sign up to be a Nordy Club member below for VIP shopping access starting at 10:00 am PDT!! 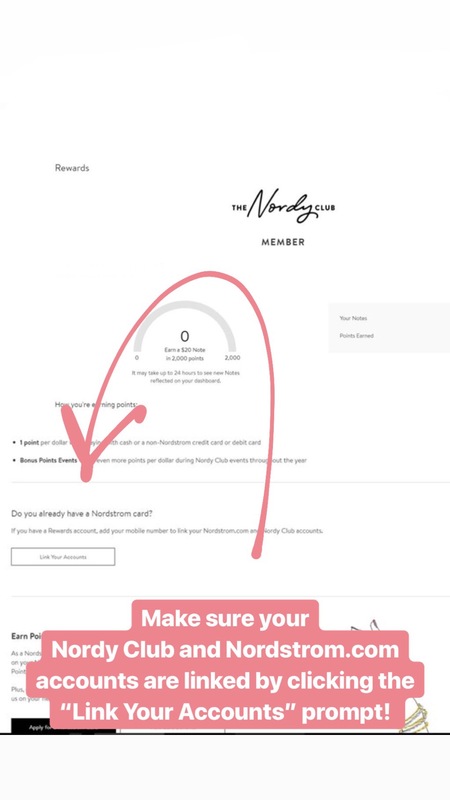 Our number one tip for the best shopping experience possible is to make sure that your Nordstrom account is linked with your Nordy Club account! See the instructions below to ensure that you are ready to go before the products launch! We have had many phone calls with Nordstrom and they have assured us that the site will not crash! They have a tech team working on the backend to ensure your shopping experience is seamless! We can’t wait for you all to start shopping!!! Sign up for the Nordy Club HERE to shop today with early access!! To Shop the entire April Collection click here!!! Your dresses are super feminine and beautiful. Really EXCITEd to get a dress for my birthday that is coming up in a month. I also enjoy your pink aesthetic so so much. Congratulations again On this beautiful launch … so many cute pieces for the Summer! Love ♥️it! Congratulations and well done! just bought the red bell sleeve dress. cant wait to wear it!! Rachel, seriously your clothes is all I wear for church, special events, or pretty much anytime I can make an excuse to dress up! (Which is pretty much EVERYday 😉) I love the new line. Can’t wait for May! P.S. SO happy I was able to nab the pink sweater before it sold out, ha! HI, the collection is absolutely gorgeous. Unfortunately it sold out before the site even allowed me to place it in the bag. Any chance Items will be re-stocked. Thank you. Can not waIt to order my first rp Dress!! !